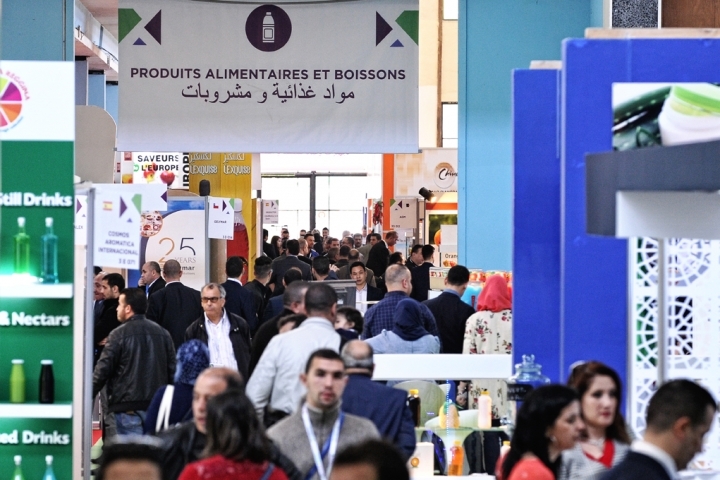 DJAZAGRO, the trade show for agri-food production, is the key event for food-processing businesses in Algeria and North Africa to meet industry leaders from all around the world. With over 15 years of experience and a strong reputation in the agri-food sector, DJAZAGRO has become THE place for professional meetings in food-processing in Algeria. Only exhibitors manufacturers are allowed to reserve a stand on Djazagro (agents and subsidiaries... in Algeria are not authorized to exhibit directly on the sectors of Djazagro). Besides DJAZAGRO’s official partners like SAFEX and CACI, Mr. Abdesselam CHELGHOUM, the Algerian Minister of Agriculture, Rural Development and Fisheries, and Mr. Abdessalem BOUCHOUAREB, the Algerian Minister for Industry and Mining, have officially inaugurated the 2017 edition of the exhibition. In parallel, the French Ambassador to Algeria, Mr. Bernard Emié, paid a visit to the French companies exhibiting. During his time at the show, he witnessed the official signature of a partnership between Adepta (Association of specialist French firms manufacturing equipment and production units for food processing in France and abroad, and partner of DJAZAGRO since its creation) and the CEIMI (Mitifja Entrepreneneur and Industrial Firm Club). This multi-year agreement will promote economic and commercial ties between Algerian and French firms. The exhibition also received the visits of the Italian and Turkish ambassadors, the Polish Trade Commission and the Argentinian Minister for Food. The agri-food sector will meet at the next editon of DJAZAGRO : April 6th thorugh 9th, 2020 !